Terror sympathizers are being emboldened by the lack of resolve of our leaders. Most would think that the arrest of 3 Al Jazeera journos (PR arm Muslim Brotherhood) for allegedly operating a drone from a park in Paris, is a hoax. But it's by no means certain they were the only ones conducting reconnaissance flights. Three Al-Jazeera journalists have been arrested for flying a drone in Paris after French capital was put on terror alert because remote control gadgets had been seen flying over landmarks. 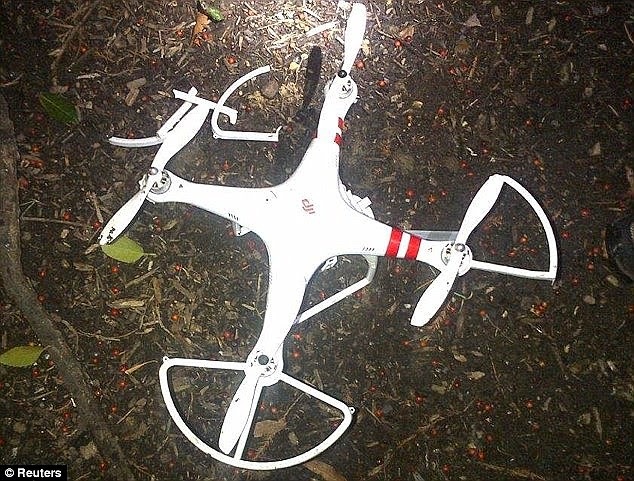 The reporters were allegedly operating the drone from a suburban park. There is no suggestion they were involved in a recent spate of sightings. Meaning, their may be others, also conducting test flights. Unmanned aircraft were seen flying over tourist hotspots in French capital. Appeared in 'at least' five locations in the city in early hours of Monday. Security officials were unable to catch the operators of the drone aircraft. 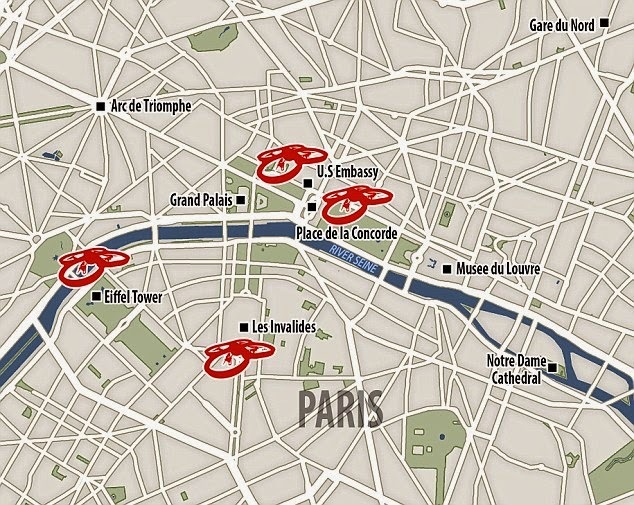 Civilian drones are thought a serious security risk and are banned in Paris. The privately operated drone, a new security threat: Islamists are destroying Liberty.